When my hubby and I got married, we gave away his beloved black faux leather bachelor sofas and sold my blue and white girly-patterned sofa. 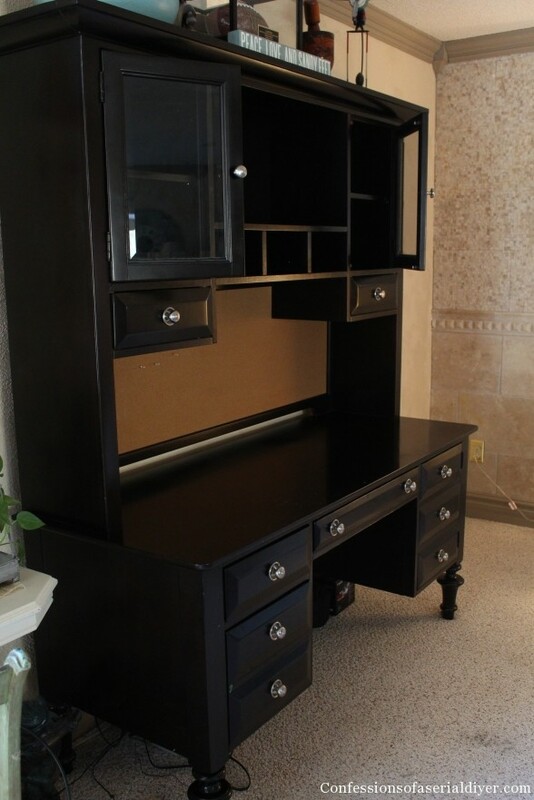 Then we purchased a new gender-neutral sectional, black T’V stand, and eventually, the matching desk. Fast forward several years and he now gladly let’s me make all décor-related decisions. (I mean he did let me chop up our sectional…really you should take a look at that if you haven’t already.) I think he just wants me to be happy, so he doesn’t have to listen to me complain but I really don’t think he could care less. I chose this desk for all the storage since it was acting as our entire office. But it’s so large and being black, it was like a deep dark hole that was sucking the life out of that side of our living room. It took me several days and a dozen Cadbury eggs to get through this makeover, but I finally finished it! I need to get Mr. Muscles to move it the left a smidge, but other than that I am loving the lighter feel of it. I used a mixture of glass and mercury glass knobs, mostly because I didn’t have enough on hand to keep them consistent. I am liking the eclectic mixture though. I only gently sanded the edges and raised areas since this is a newer piece. But all good things must come to an end, I guess… still looks so much better than before. 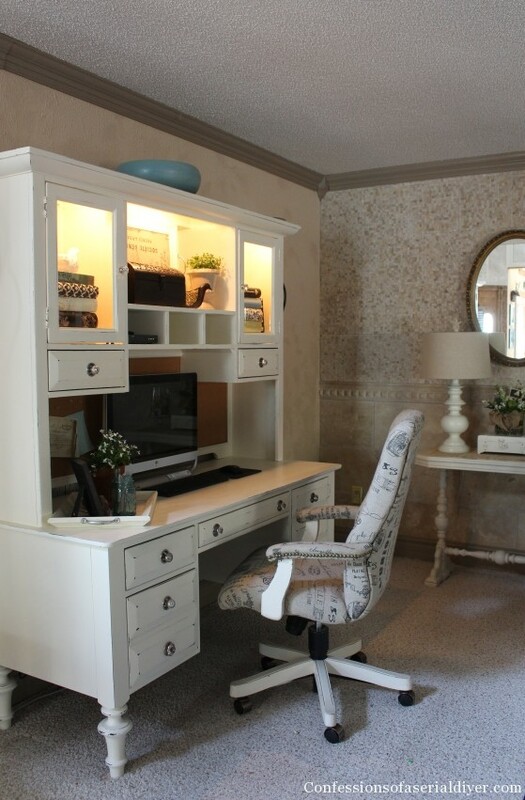 One of the things I love about this desk is the soft glow of the lights in the upper cabinet area. Those are some of my photo albums stacked in the cabinets. I have SO many, and I’m ashamed to say that I haven’t ordered prints off my computer in over a year! 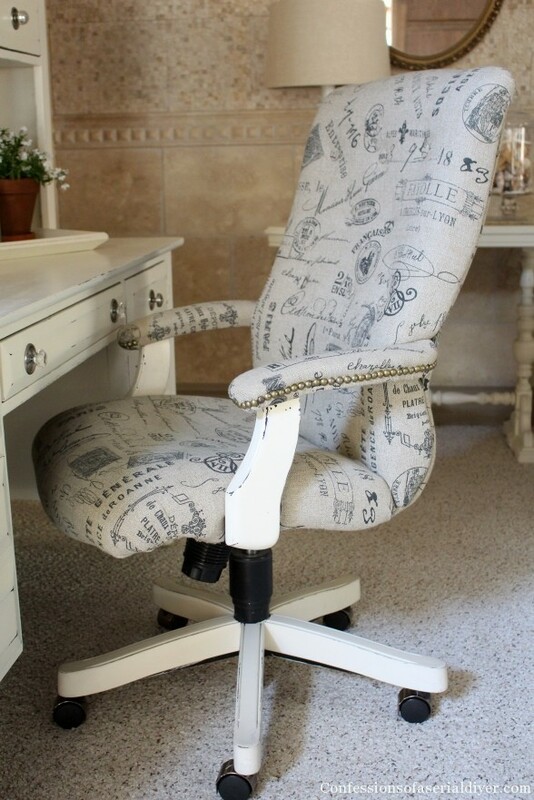 Remember my desk chair I redid last Spring? It is one of my most popular posts, probably because the before was so u-g-l-y! It is holding up fantastically! This whole side of the room feels softer and lighter. 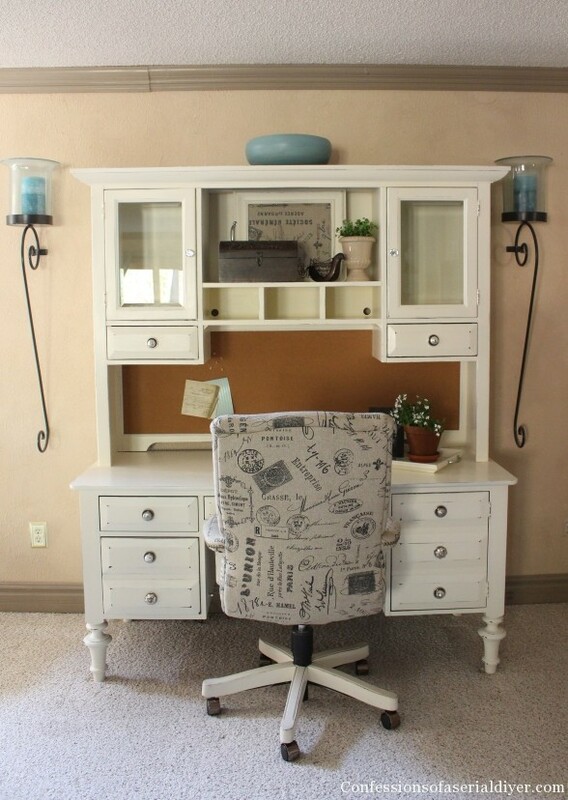 Love the desk, wish mine was that big and white. I keep saying I’m going to try painting this one I have. Think I’m hoping I can find a cheap white one. Thanks, Donna! I kept trying not to look in the direction of my desk as it has been begging to be painted for a while, but I finally broke down and tackled it. Now I’m SO glad it’s done! Have a great weekend! Thanks, Ellen! 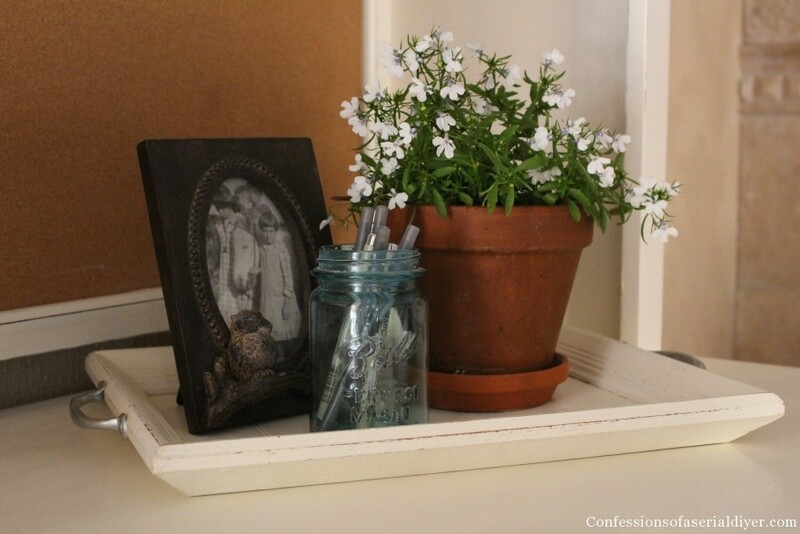 I’m the same way…I try to keep things organized, but inevitably things just start to collect there. I couldn’t believe how much junk had accumulated as I started to clear it out to prepare for paint! Christy, It’s amazing what paint can do! The desk was pretty, but now it pops! Awesome transformation! Looks great! 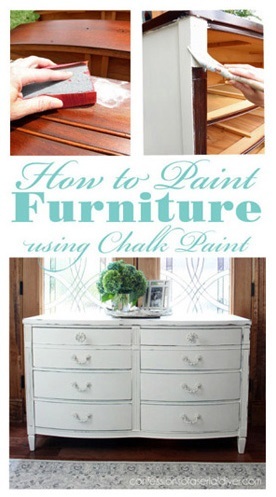 I have yet to try chalk paint but I do have a few items here that could use some freshening up! 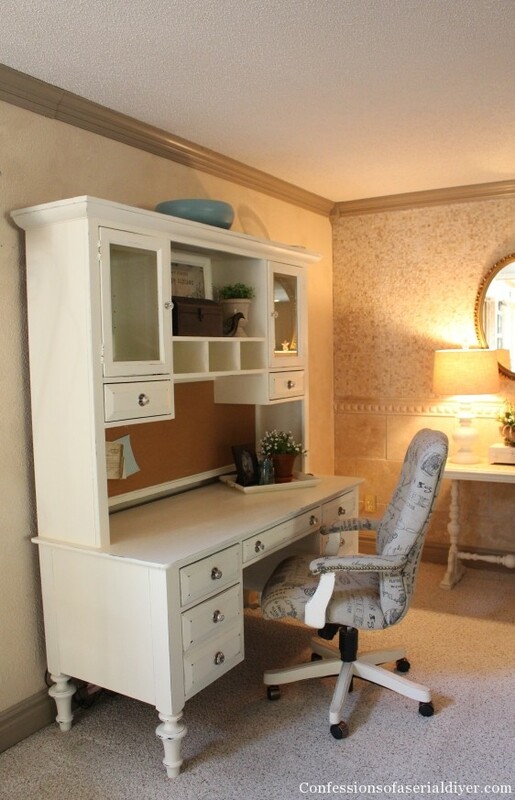 Be proud – your desk looks amazing! I love it. It really looks like a different desk altogether 🙂 love those vandle sconces as well. I LOVE it!! I am so inspired to do this to my entire office of oak furniture. I just don’t know if I have enough in my energy account to actually finish anything. I imagine it was at least a 9 on an effort expenditure scale. How many hours would you estimate it took to finish. I’m so glad you like it, Sherry! This could probably easily be done in a couple of days. I wasn’t able to work on it continuously and it took me three. It’s so pretty, love how it turned out!! What an amazing change. I really love it. That had to have been a beast to do, it was totally worth it though! It looks fabulous! That is just beautiful Christy! I totally agree with the whole black hole thing! What a difference!! Nice change, Christy! And your chair re-do is fabulous…one thing that I’m seeing though is the addition of some white paint to the hmmm… “tubing mechanism”??? 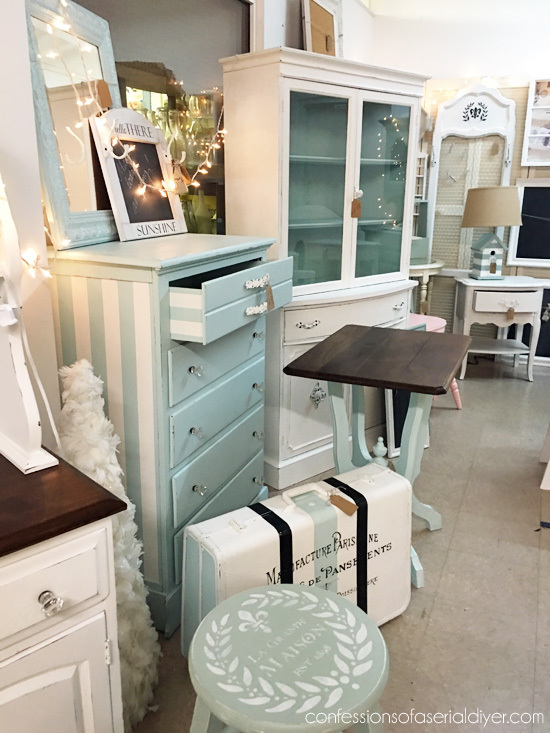 whatchmacallit under the seat….it’s a little distracting to your otherwise gorgeous chair re-do! Whoa! 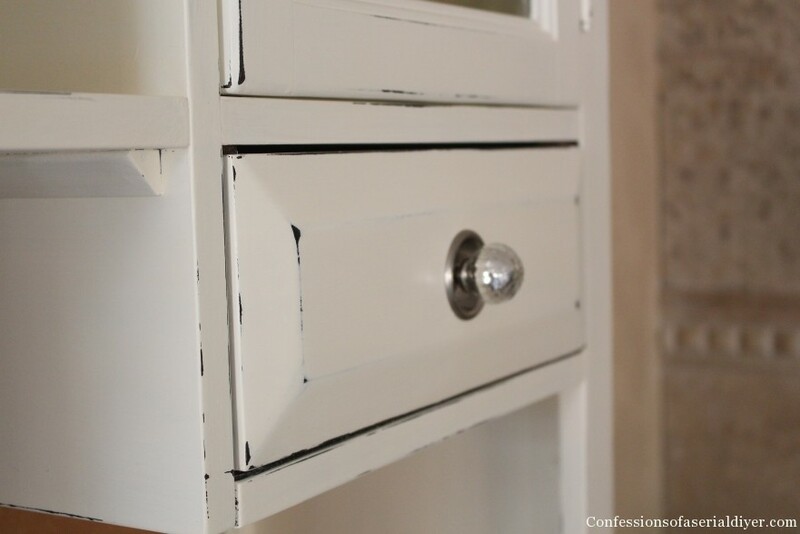 What a difference white paint can make! Now I’m encouraged to makeover our very dark office with something light and bright! Great transformation! ! Really makes the room bright! !! Wow! What an improvement. It looks great white. This is a glorious transformation, my friend! 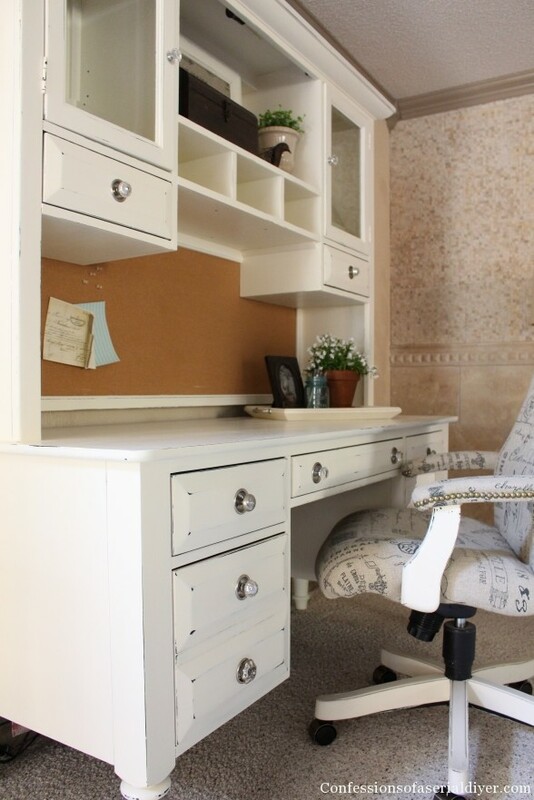 I’m getting ready to do a desk makeover myself, so this is MAJORLY inspiring for me. P.S. 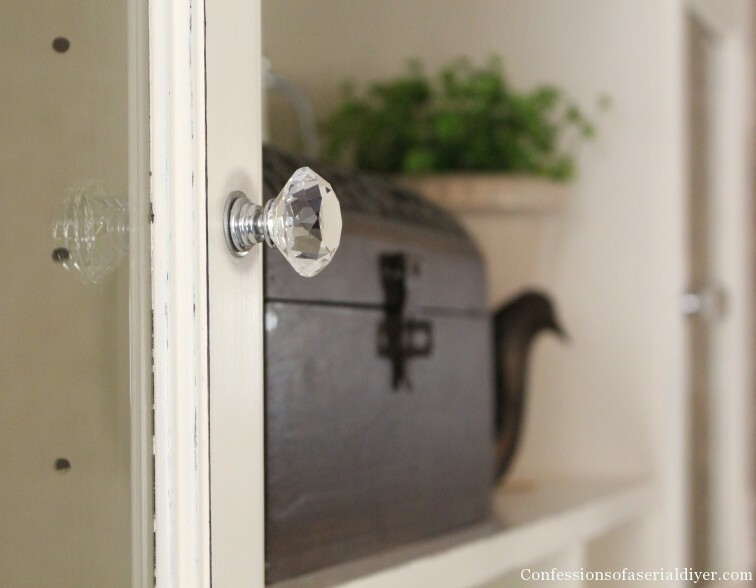 Where did you find mercury knobs? Did you spray them with looking-glass paint yourself? I’m in love! I love your make over. What a weight challenge for you. Glad you some muscle. Another amazing transformation!! This was quite the tackle… not many would be brave enough to take it on. It looks so good and I love how it brightens that corner!! Love it!!! You did a great job on this piece. 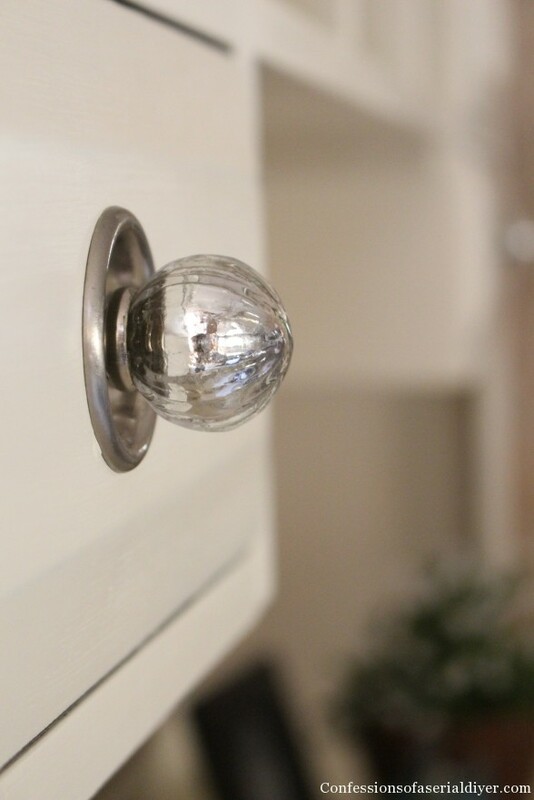 The knobs are just icing on the gorgeous cake! Christy!!!!!! My goodness this is beautiful. I LOVE it!!! 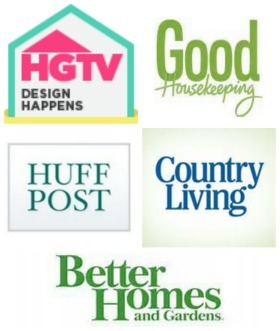 found you on Liz Marie’s linky party….love this makeover, love your style!! You appear to be a neutral addict like me….looking forward to following you! Ummm … this makeover is FABULOUS!!! I am SO not a fan of black furniture (even though I had a bunch in college). The white is perfect. Those knobs are so fun. And I love that you distressed it!! Oh … and that chair is also great!! Thanks for linking up last weekend at DIY Sunday Showcase. I’m featuring this beauty tomorrow! Have a great rest of you week! Awesome! What a great makeover. 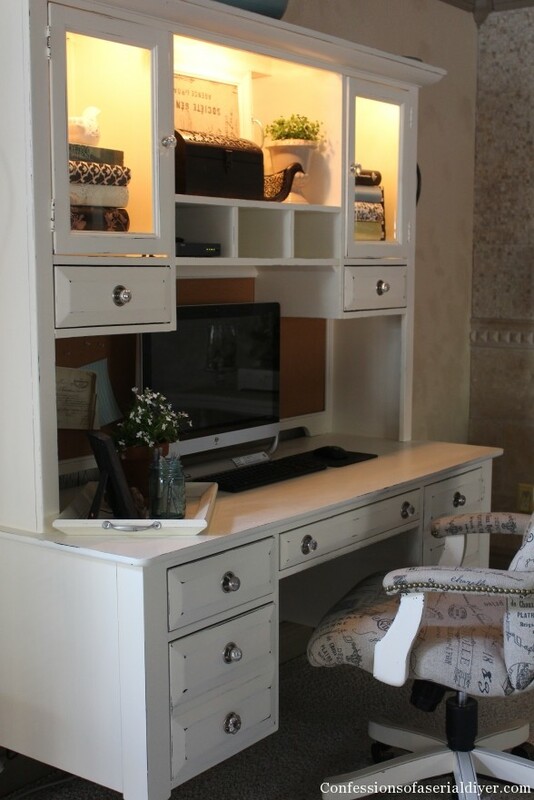 If only I could convince my boyfriend to like white furniture then I would probably do the same thing… maybe someday! WOW! Such a transformation. Love it… I have slowly been painting all my old black pieces white now… such a pretty fresh feel. Have a fabulous weekend!! Boy, what a difference a coat of paint makes! I love your choice of color for this desk. 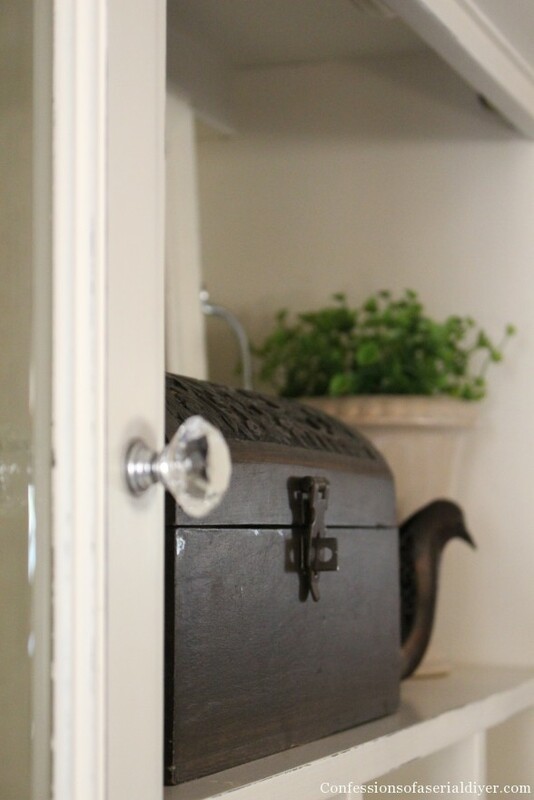 The knobs are totally perfect. Thank you for sharing. I really like what you did with this desk. 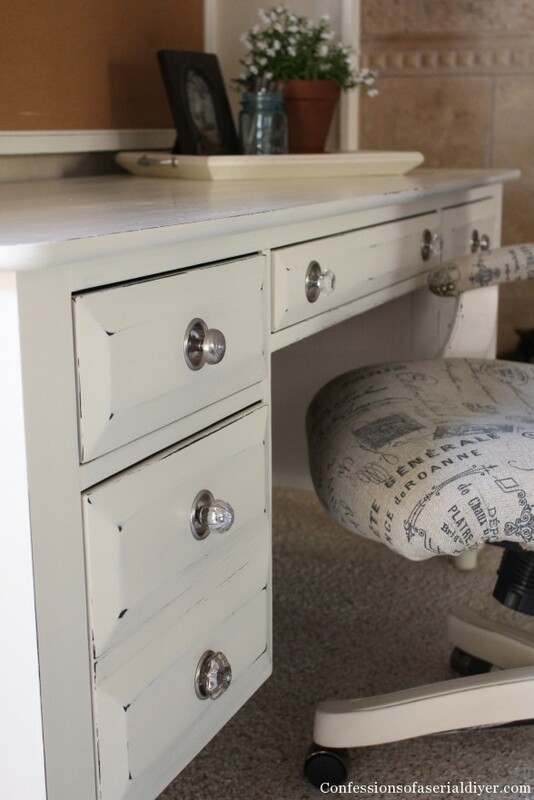 I especially like the material used to cover the chair and how something you did a while back goes so well with this desk now. Love it…thanks for sharing! Such a transformation! It’s amazing how the color change really changes the look of the desk. Love it’s new lighter style and the mix of hardware is wonderful too! The desk looks amazing. I love that there is just hints of distressing. It adds more character to the piece. I LOVE the desk. Can I ask where you got it? It would look so pretty in my house if I can find someone to paint it for me! Thanks, Amber! I purchased it locally at Haverty’s about five years ago. Wow!!! So beautiful. I love the mix of knobs too. Thanks for sharing. It’s amazing what a layer of paint can do. No rally, it’s amazing. All the ugly furniture I ignored. I deliberately go looking for ugly furniture now & like to kid myself I’m the only one who knows the secret. Just paint it. Looks amazing, Christy. The chair is the perfect addition to the new look! Wow what a difference. I have been wanting to do something different with my desk even though I have only had it for 2 years. This post gives me hope. Thank you for sharing. 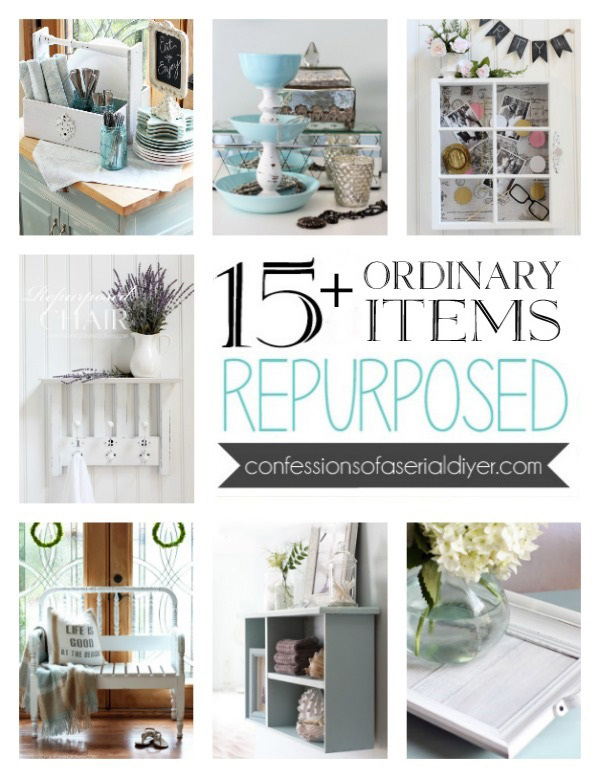 I found your site by way of Abby over at Justagirlandherblog. I am super excited to see what is next with all the makeovers you all are doing. I have an office I have been dying to make over and this gives me hope. Great job! 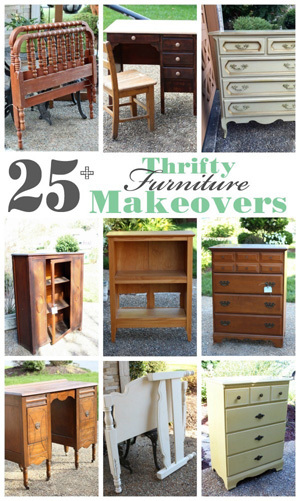 I love posts like this because I’m encouraged to go garage sale-ing and find a piece I like and fix it up to use it in my own house. 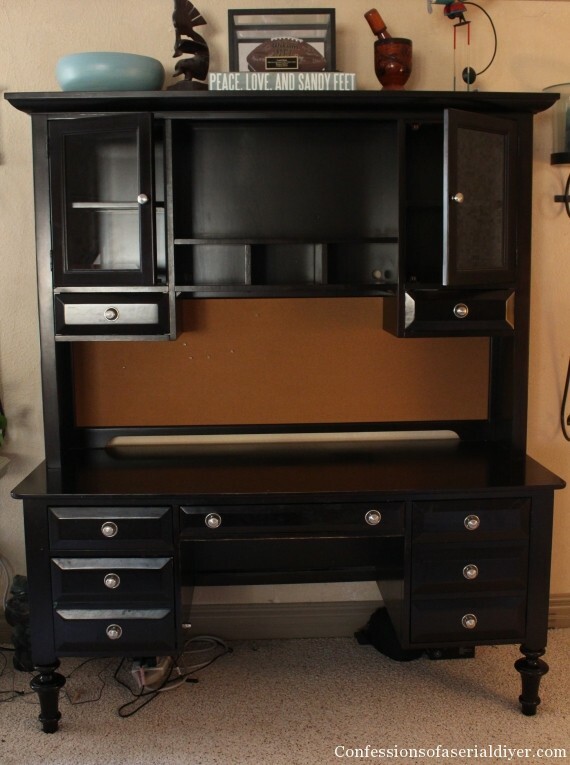 A desk like this would be perfect in my living room. 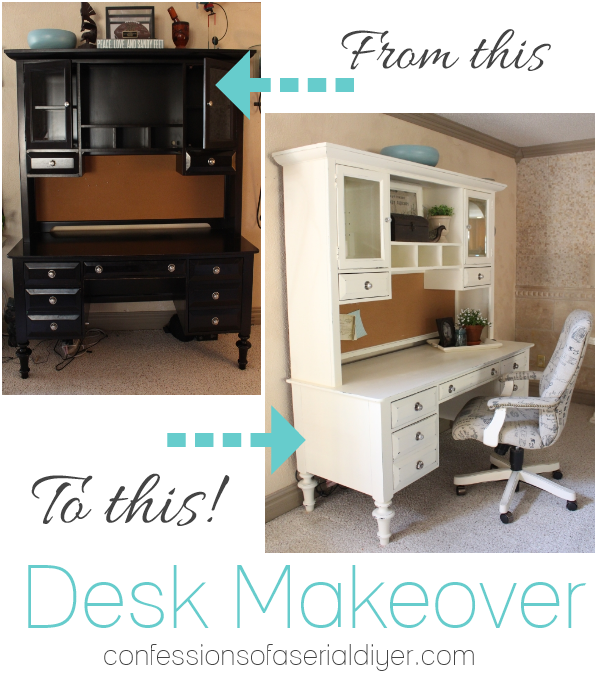 I just love your desk make-over, it really transforms the entire piece! Great Job! 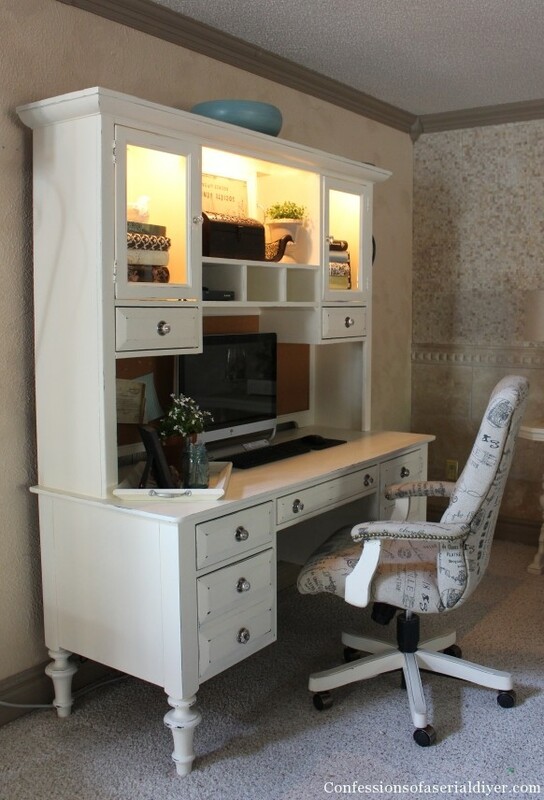 What a beautiful transformation, you gave me a great idea, I don`t like clutter in a desk, so I need to get a piece of furniture like in the top of your desk that will hold all my stuff. Lol. Thank you, it is really cute. It turned out gorgeous!! I so love that it is so light and elegant!! Great job!! You’ve inspired me to get rid of all my black furniture!! haha! !